Rhodes Journalism Review: What is Missing from Journalism Education? In the current issue of the Rhodes Journalism Review, 15 journalists, editors & new media specialists from around the world pinpoint what’s missing from journalism education. Includes a contribution from me. "The current context of globalization facilitated by the ICTs offers exciting new prospects not only for Cameroonian citizens and journalists to compete and complement one another, but also an opportunity for new solidarities to challenge undemocratic forces, ideologies and practices that stand in the way of social progress in Cameroon and globally." When Dibussi Tande sent me an email requesting a preface to this collection of essays on politics and collective memory scribbled from his blogging den since 2006, I readily agreed in recognition of the outstanding contributions he has made in promoting the creative appropriation of ICTs by Cameroonian journalists, intellectuals and the blogging public. In three years Dibussi Tande has established himself not only as a leading and award-winning blogger, but also as a critical reviewer of African blogging in a weekly Pambazuka News column titled “Blogging Africa”. As I write this afternoon of March 20th 2009, his blog, Scribbles from the Den, has registered 305,045 page hits. View more presentations from dibussi. Afrigator, the leading African blog aggregator, has a listing which ranks the top Cameroonian blogs. Although the Cameroonian blogosphere has grown in leaps and bounds in the past couple of years, only 48 Cameroon-related blogs are listed on Afrigator (compared to 5387 South African blogs and 935 from Nigeria) – a fact which highlights the insularity of the Cameroonian blogosphere whose members do not generally seem interested in reaching out to readers beyond the Cameroonian community. While Cameroonian male bloggers focus almost exclusively on politics, Cameroonian female bloggers generally shy away from la chose politique to focus on culture – no surprise here, given that many of them are dedicated “cultural entrepreneurs”. Here is a sample of some of the most popular blogs maintained by Cameroonian women in no particular order. Here is a quick look at some Cameroonian women on the blogosphere on this International Women's Day. A Kenyan blogger found a way to get information from the crowd. Now she wants to take the idea to other parts of the world in trouble. "For us to be featured in Forbes magazine is a big deal for many reasons - it speaks to our entrepreneurial approach to social problems, it speaks to the incredible talent we have in Africa that often doesn’t receive the recognition it deserves in the international media, and it says to me that we are on to something." Ory Okolloh, Ushahidi founder. On a recent day in November 15,000 people were pushing up against the barbed wire outside the United Nation's mission to the Democratic Republic of Congo in Goma. Although this year's winners were announced some seven weeks ago, it is only yesterday that I became aware that Scribbles from the Den was one of the laureates of the 2008 Black Weblog Awards. Scribbles won the judges' vote in the Best International Blog category. This year, there were over 9,400+ nominations in 30 different categories and over 1,500 votes. As the musician Brian Eno noted on the BBC's Question Time this week, Barack Obama's triumph was the first US presidential election that was won on the internet. While most pundits focused on the question of race, one largely overlooked factor was his powerful techno-demographic appeal. The press freedom watchdog, Reporters without Borders, is reporting the arrest of Us-based blogger Jonathan Elendu by the Nigerian State Security Service (SSS). Elendu was arrested on October 17 at the Azikiwe International Airport in Abuja. Although the SSS spokesman Kenechuks Onyegogu has been quoted as saying that Elendu was simply “invited” by the SSS to explain certain matters involving “national security, he is apparently being held incommunicado with no access to lawyers. 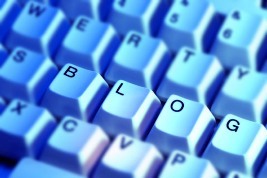 In my continuing series on Cameroonian blogs, I will take a quick look at three English language blogs that are steadily carving a place for themselves on the African blogosphere. 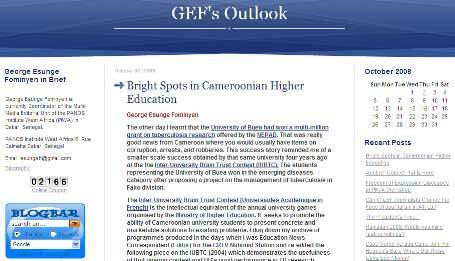 The first of these blogs is GEF’s Outlook maintained by former CRTV journalist, George Esunge Fominyen who currently heads the Multi-Media Editorial Unit of the PANOS Institute West Africa (PIWA) in Dakar, Senegal. The Cameroonian blogosphere has grown considerably since I wrote an article in 2006 titled "Where are the Cameroonian bloggers?" 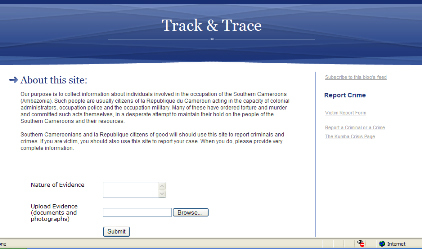 Today, there are numerous online diaries, political, general interest and specialized blogs created by Cameroonians. Unfortunately, most of these very interesting blogs remain largely unknown to the general public. 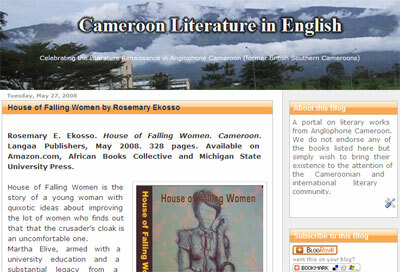 One of these is the blog on Cameroon Literature in English which showcases literary works by English-speaking Cameroonian writers. Although the Cameroonian blogosphere is not as vibrant or as organized as the Kenyan blogosphere, and lacks tools such as Ushahidi which Kenyans used to keep the world updated on events in the country at the height of the post election violence, a number of Cameroonian bloggers at home and abroad have nonetheless stood out this past week thanks to their on-the-spot reporting or analyses of the ongoing crisis in Cameroon. Le Blog de Nino and Media City lead the pack in terms of videos and images of the rioting. Le blog de Nino goes a step further by updating his blog with SMS updates from eyewitnesses on the ground. Others such as Le Blog de Tamba run by Le Messager reporter Edouard Tamba, have provided on-the-spot reporting of events that occurred in Yaounde. France 24: "President Paul Biya, in power since 1982, announced that he would like to modify the constitution in order to be re-elected one 'last' time. The announcement lit the powder keg in the streets of Yaounde. The opposition is organizing itself on the web." (My translation). The Web has become a powerful tool for democratization. ADDIS ABABA, Ethiopia: The man was nervous. He was afraid, he said, of the secret police. So he advised me to hire a random taxi. I was to park at a certain church. And there, I was to wait. A few minutes later he called again, this time on a different cell phone. He gave me directions to a nondescript house with an iron gate. "Sorry about these procedures," he apologized, tapping away at a laptop in a shuttered room. "But I could spend years in prison for what I do." Such spy-movie shenanigans in Addis Ababa, the capital of Ethiopia, weren't required to meet a gangster or terrorist. 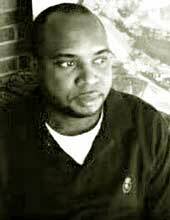 Instead, Dagem, as he chose to be called, was a new type of African revolutionary: a blogger. While surfing the net this past week, two websites of interest caught our attention. These websites stood out because of their activist orientation and simplicity in eliciting the desired action from visitors. "The Egyptian authorities must repeal legislation that, in violation of international standards, stipulates prison sentences for acts which constitute nothing more than the peaceful exercise of the rights of freedom of expression, thought, conscience and religion." Amnesty International. On February 22, 2007, Egyptian blogger Abdelkareem Soliman was sentenced to four years in prison for spreading information disruptive of public order and damaging to the country's reputation", "incitement to hate Islam" and "defaming the president of the republic". 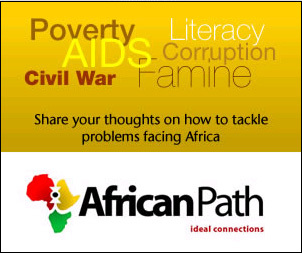 One of the most exciting events in the African cyberspace this year has undoubtedlty been the launching on January 1, 2007 of African Path, an innovative and ambitious news and blog aggregator dedicated exclusively to African affairs. Africa's first conference on blogging, the Digital Citizen Indaba on Blogging, will take place at Rhodes University in Grahamstown, South Africa from September 14 - 15, 2006. According to the organizers, "the aim of the Indaba is to equip Africans with skills relating to new media so as to empower them and the organizations they work for by creating an effective digital voice." The Indaba will bring together bloggers, citizen journalists, media practitioners, industry experts and representatives from civil society from all over Africa and beyond. You most likely do not know the distinguished looking man on the right, but perhaps you should. If you are a Nigerian or English-speaking Cameroonian who has tried to exercise academic excellence, he has influenced you directly or indirectly through people whom he has influenced. 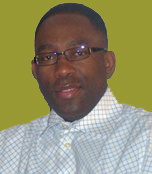 He is the legendary Nigerian mathematician, Chike Obi. Growing up, the name Chike Obi was synonymous with superhuman mathematical ability. I did not even believe that he was a real person until my aunt and I went to visit the late Professor Obenson at his office at the University of Lagos. Next door or a few doors down were the magical words: "Professor Chike Obi, Head of Department of Mathematics". I nearly fainted.